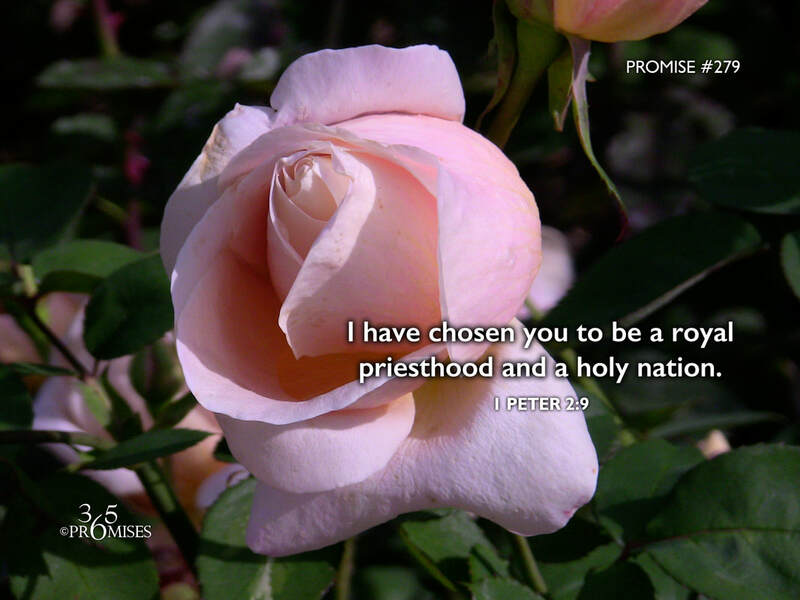 I have chosen you to be a royal priesthood and a holy nation. Today's promise is an amazing declaration of who we are in Christ! We are a royal priesthood, a chosen generation and a people for God's own possession. You may be called to do many things today... Get up and go to work. Fix your children's meals. Work around the house, etc., etc. Even though today you may be called to do many mundane things, my prayer is that you would know in the midst of your daily routine how God sees you! You are a part of His royal priesthood. You were chosen to belong to God and show forth His praises before the foundation of the world. My prayer today is that whatever you do in life, you would know that you are part of a people of God's own possession who called you out of darkness into His marvelous light!